Three Black-throated Divers look on in envy as the adult Great Northern catches a flat fish. 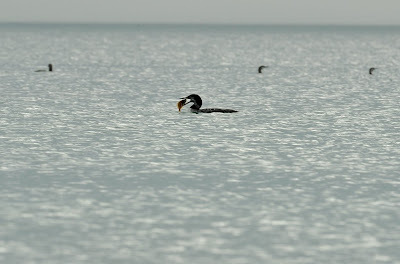 The moulting Great Northern came to within 40 yards of the water's edge on the beach and took ten minutes to swallow its prey. Exposure set to 0.0 White Balance cloudy. ISO 400. Shutter speed 500th sec. 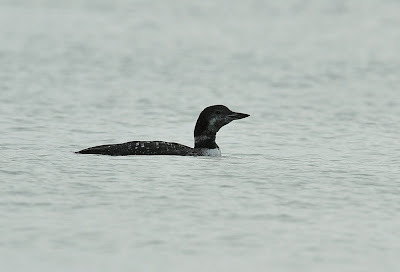 Gerrans Bay is the best site in Cornwall to find wintering divers, especially Black-throated. The area is nationally important for divers and grebes and flocks of 60 plus Black-throats have been recorded here in the past. 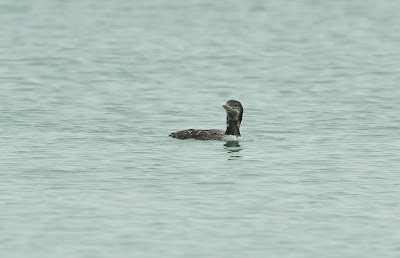 Red-throated Diver is the least common. 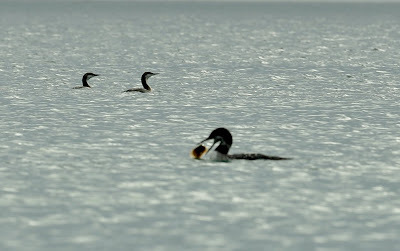 The area is also reliable for wintering Red-necked, Slavonian and Black-necked Grebes. Great-cresteds have also become more frequent in recent years.